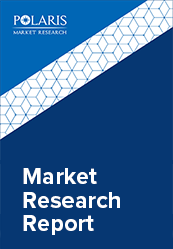 The global orthopedic implants market size is estimated to grow at a CAGR of 4.84% between 2018 to 2025. Orthopedic implants are used are majorly used in minimal surgeries that are used for treating various spinal surgeries and lumbar spinal stenosis (LSS). Orthopedic implants are basically composed of iron, cobalt, chromium, titanium, and alloys which are coated with plastics that acts as cartilages. An Orthopedic implant is a medical device that is manufactured with the ability to replace the missing joint or bones. Additionally, these implants deliver medications, provide support to the damaged bone & tissues, and regulates the body functioning. The implants can be used permanently and even can be replaced once they are no longer needed. However, the risk associated with the use of these medical implants is during replacement or removal of these implants. The global orthopedic implants market growth is primarily driven by the increasing number of the elderly population globally. For instance, The Center for Health Design stated the older population would approximately double in coming years, i.e. 43.1 million in 2012 would go beyond 83.7 million by 2050. Additionally, increasing number of joint replacement and sports injuries across the globe would also influence the market growth positively. Moreover, increasing numbers of fractures and trauma cases to uplift the orthopedic implant market growth during the forecast period. Furthermore, increased hip orthopedic implants to also spur the growth of the entire industry during the forecast period. However, the high cost of these implants associated with improper reimbursement government policies, and stringent regulatory policies for approval of various implants and increasing product recalls would hinder the growth of this market during the forecast period. Furthermore, increased hip orthopedic implants to also spur the entire industry during the forecast period. The global orthopedic implants market is segmented on the basis of application and geography. On the basis of application type, the orthopedic implants market is segmented as, spinal orthopedic implants, hip orthopedic implants, knee orthopedic implants, craniomaxillofacial orthopedic implants, dental orthopedic implants, and S.E.T (Sports Medicine, Extremities, Trauma) orthopedic implants. Knee orthopedic implants segment dominates the entire market owing to the increase in the joint replacement surgeries in the geriatric population across the globe. Moreover, increased awareness for joint replacement in the developing countries to also drive the market during the forecast period. Similarly, Spinal orthopedic implant segment is anticipated to grow at a faster rate during the forecast period. By geography, the global orthopedic implant market is segmented into five major regions, North America, Europe, Asia Pacific, Latin America, and Middle East & Africa. In terms of geography, North America dominates the entire orthopedic implant market. The growth in the market is majorly driven by the increasing healthcare expenditure by the local governments and developed healthcare infrastructure in the U.S. and Canada. Furthermore, the rising prevalence of the geriatric population in this region to spur the orthopedic implant market in North America. The Asia Pacific is anticipated to make dominating growth in the forecast period owing to increasing awareness for the use of various orthopedic implants, unmet market needs, and developing healthcare infrastructure would also support the market growth in the Asia Pacific during the foreseeable future. Additionally, increased awareness for joint replacements, and increasing accessibility of treatment in this region would also spur the market during the forecast period. Some of the major key players operating in global orthopedic implants market are Medtronic plc, Zimmer Biomet Holdings, Inc., Aesculap Implants Systems, DePuy Synthes, BioTek Instruments Inc., Conmed Corporation, The Orthopedic Implant Company, Smith & Nephew plc, Stryker Corporation, Wright Medical Group N.V., NuVasive Inc., and Arthrocare Crporation.